While archery hunting along the Dalton Highway, AKA the Haul Road, I met a man from Fairbanks by the name of Dickie Byrd. Dickie is a true woodsman and has passed on some great moose hunting stories. We have stayed in touch and recently he sent me the following photo and message. It ties in nicely with my previous Haul Road entry. Finger Mountain is located at a landmark on the highway called Finger Rock. It is guite prominent and, if my memory serves we correctly, it is just about an hour’s drive south of the Arctic Cirle. 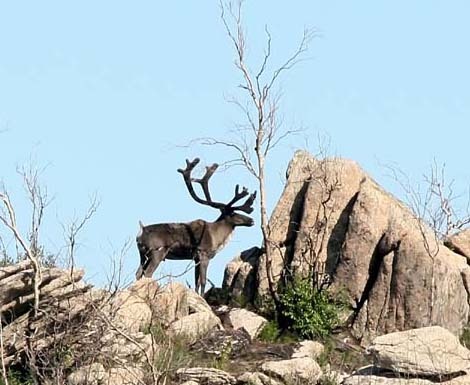 The photo is of a bull caribou that was standing right next to the highway and would have been very vulnerable to an archery hunter. This week I will take you to 98-mile on the Dalton Highway. My family and I were on our way home from a 5-day canoe trip on the 5th of July and had a great opportunity to get pictures of this caribou. Caribou are noted for their larger herds of 10,000 to 20,000 animals. These numbers reflect the number of animals associated with one another. But they are usually widely scattered over an area. From ground level you will maybe see several thousand of them but the biggest number of them will be hidden from sight by hills, gully, and just plain old distance. Even from an airplane you might only see half of the herd. During the summer months they spread out farther and you often only see a few hundred and they will be in small family groups with 100 yards or 5 miles separating them. In the summer you will also find a lot of individual animals scattered around here and there. But, when you see one, you can be sure that the rest of the herd is scattered about in the surrounding miles. Seems like the last week before leaving for a hunting trip is always a stressful time. Besides getting ready to hunt – tuning bow, shooting, and hiking to maintain some kind of conditioning – there’s the equipment and supplies required to make the trip as comfortable and productive as possible. Caption: Santa Rosa Mountains, just west of Paradise Valley 1987. Getting the regular job under control and tying up loose ends is probably the worst part. But, when Thursday comes I’ll be heading up I5 and none of that work stuff will matter until I get back. I’ll be hunting in the desert of Nevada and I know from experience that one must be physically prepared and mentally prepared for the desert. The desert sun can be unbearable and chase one right back to town. Hopefully it won’t be that hot. Shade is often missing in the desert, so I bought a golf umbrella. It has a silver top and black underside. I may be visible for miles, but in the mid-day sun I’ll at least have shade anywhere I go. I’ll be taking an ATV on a utility trailer Rob and I had built a few years ago. I’ll be able to get around pretty good. I’ll be stopping at Cabela’s in Reno on the way to finish up my shopping. I’ll pick up one more set of camo clothing for the desert (sage) and hopefully a better tri-pod as the one I’ve been using is really giving me fits. I’m planning on eating MRE’s some of the time and regular food when time allows. I figure the first couple days will be mostly glassing. After that I’ll start making stalks – unless the giant shows up right away and beds under my nose. Keep dreaming. Caption: The buck I’ll be looking for. Killed in Pine Forest Range – 1985 (or so, by another hunter). I’ll attempt to get a few good photos of bucks. That’s always nice to have in order to prove that they really were there. The desert can be very lonely – I think I’ll have cell phone, but not sure. I’ll bring an XM and AM radio along with some note paper and a little reading material. I have a car battery charger for running one of my laptops, so maybe I’ll do a little posting, but probably not. Never seems to work out that way. Caption: Sometime you just do whatever it takes to cool off. Pine Forest Range 1985. I probably won’t see anybody out there, so going to town after a few days may be necessary. I talk everybody’s ears off after a few days alone. It won’t be a long trip as a week alone in the desert is enough to get anybody heading home. Who knows. Maybe this will be the year. The wildflowers were out in full force in the Hoover Wilderness last weekend. 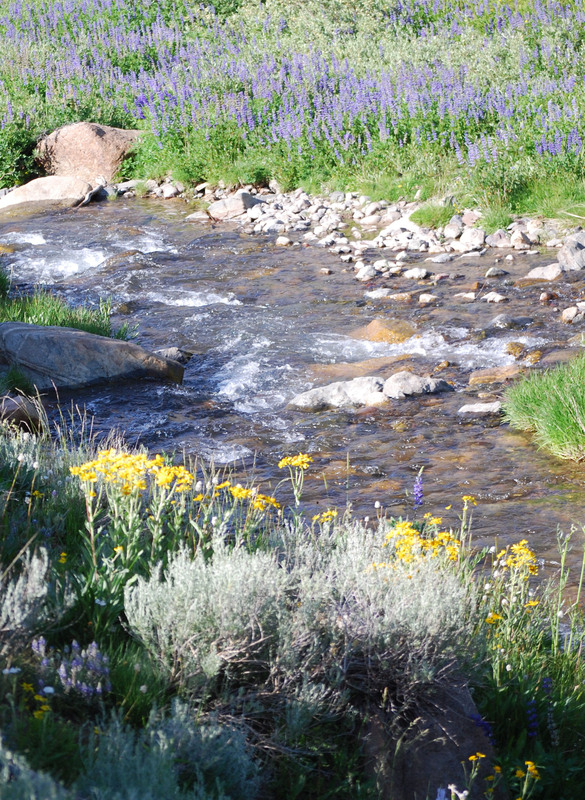 These flowers were along the Little Walker River at about 9200 feet elevation. Lupines on the far bank, but I don’t know the name of the yellows ones. Butterflies were also out in numbers. 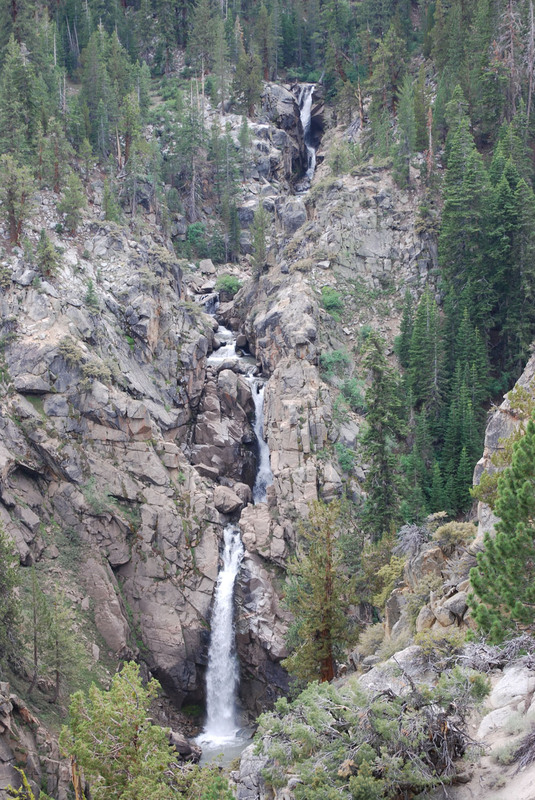 One the way home we discovered Levitt Falls along highway 108 on the east side of Sonora Pass. Scouting for mule deer. What does that mean? When you’re looking at a huge area, you’ve got many different levels of scouting. 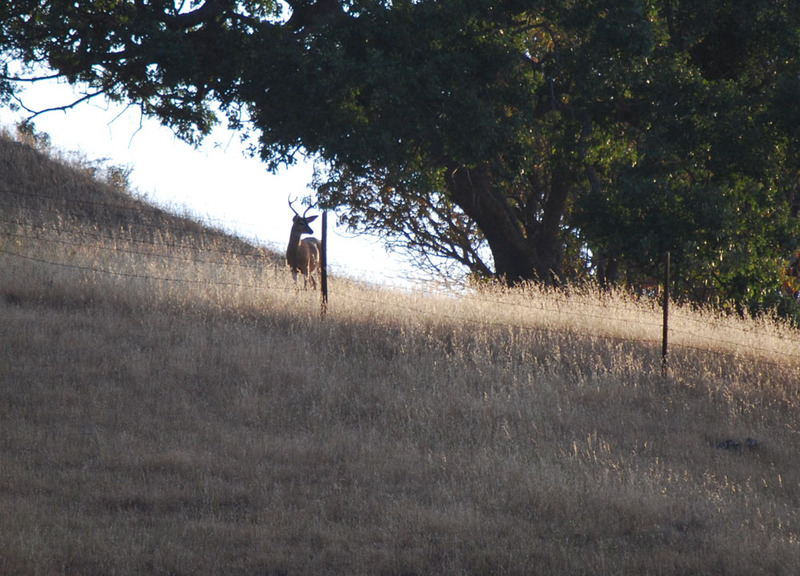 We’ve hunted CA deer zone X12 before and it has huge deer habitat. It seems as if the entire unit holds deer. We’ve concluded that the biggest bucks are in the most difficult spots to reach and as we approach the age of 60 those spots are really getting difficult. However, we’ve got a couple more years left, we hope. The biggest advantage we have now is that we’re willing to pay a packer to get us back into fairly remote county – instead of carrying our packs in and using the remaining physical resources to get to where the deer are. This weekend we hiked into a prospective site that we’ve not been to before. It holds plenty of remote ridges over 10,000 feet and plenty of places for big bucks to grow old. My brother, Rob, and cousin, Wes did spot one of those type bucks on the trip, but mostly we were just trying to figure out where to set up our base camp. We have another spot we know well and it will serve as our backup. We had another spot that looked good, but the packer said he couldn’t reach it. I guess that means that it’s really good. 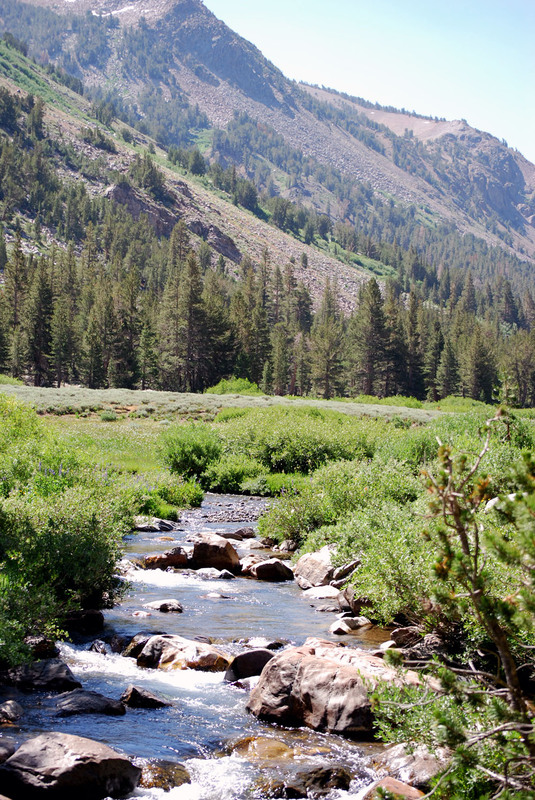 The Hoover Wilderness is one of the prettiest spots on earth. I’m always awed by the scenery. I brought my fly rod and tested the fishing. The creek was loaded with eight in brook trout. If we use this site, we’ll be bringing some bread crumbs and vegetable oil. 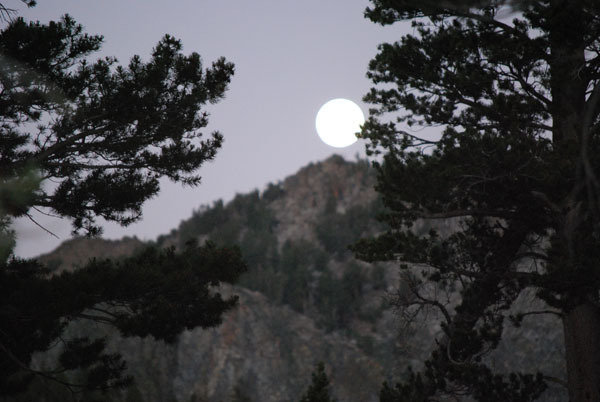 We didn’t see a lot of bucks, but we believe that some of the deer have not reached the highest elevations yet and the moon was full. It was so bright out at night that one didn’t need a flashlight. 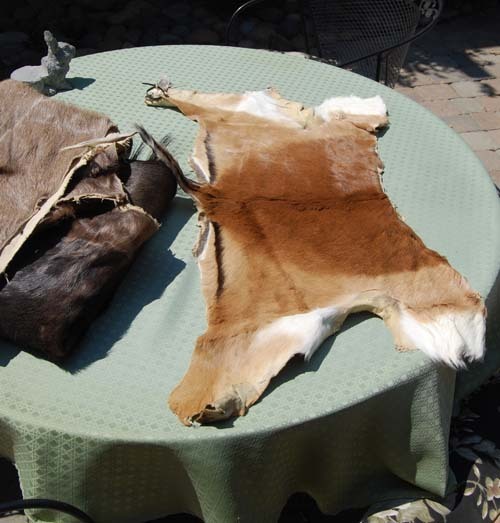 My South Africa trip ended last July and this week I picked up my final delivery of processed trophies from Golden State Tannery, Inc. located in Turlock. The last two boxes included the back hides from my kudu bull, back hide from my impala ram and complete hide from my black wildebeest. Along with the hides I picked up three warthog skulls. The warthog skulls were the last item to be available. 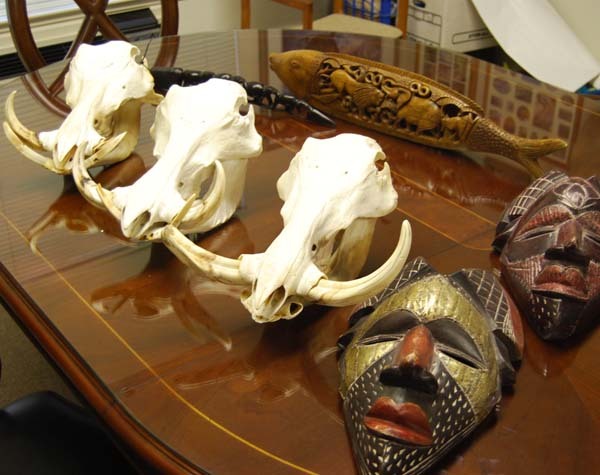 Ironically, there was nothing to be done to the skulls except to have them inspected by the USDA inspector and it took over six months for that to be done. 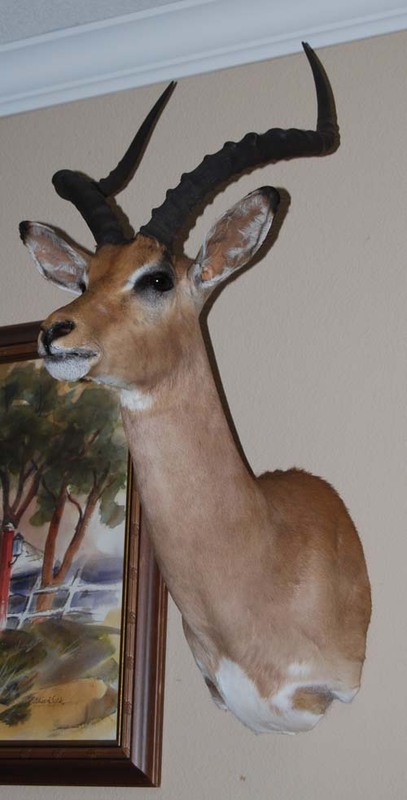 In the meantime my kudu and impala mounts have been completed by Aaron Armstrong of Western Wildlife Taxidermy. He did a very nice job and the two mounts are proudly on display in my family room. Even my wife, Linda, has accepted them. On the trip I shot six animals, three warthogs, a kudu bull, an impala ram and a black wildebeest bull. The trophy fees totaled $2,700. 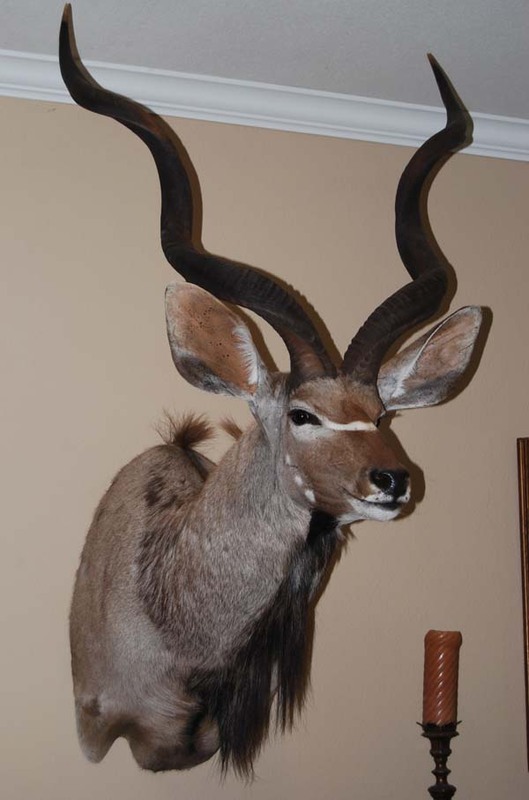 For some animals, like the kudu, the trophy fees are only the beginning. If you are interested in figuring out the elusive cost of processing, shipping, receiving, customs, tanning and taxidermy, here’s my account – for better or worse, exactly as I paid. You’ll probably not find this much detail in othe information provided in advance of trip. I’m sure some advance knowledge would help to reduce some of these costs. GST, Inc. impala cape 47. We did include a few purchased souvenirs in the crates and got the benefit of nearly free shipping for those items that would not fit into our suitcases. On another front, Aaron Armstrong donated a $500 certificate to our Mule Deer Foundation fundraiser. Thanks Aaron. 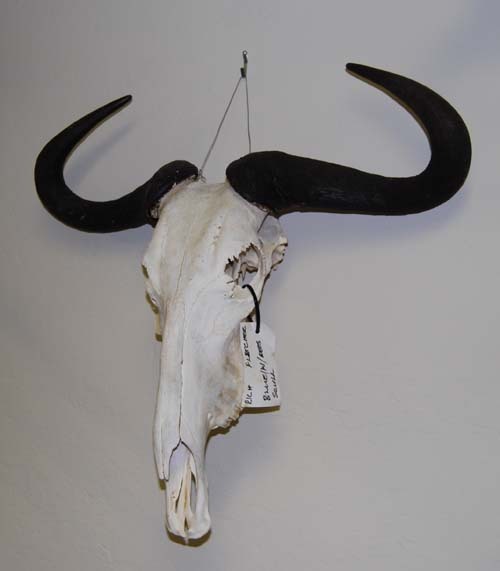 If your budget is tight, you can save a bunch of money by just mounting skulls European style as I did with the wildebeest. I like it. specified program in the 2009-10 governor’s budget. the hunting of various types of game animals. activities as a result of the above reallocation. 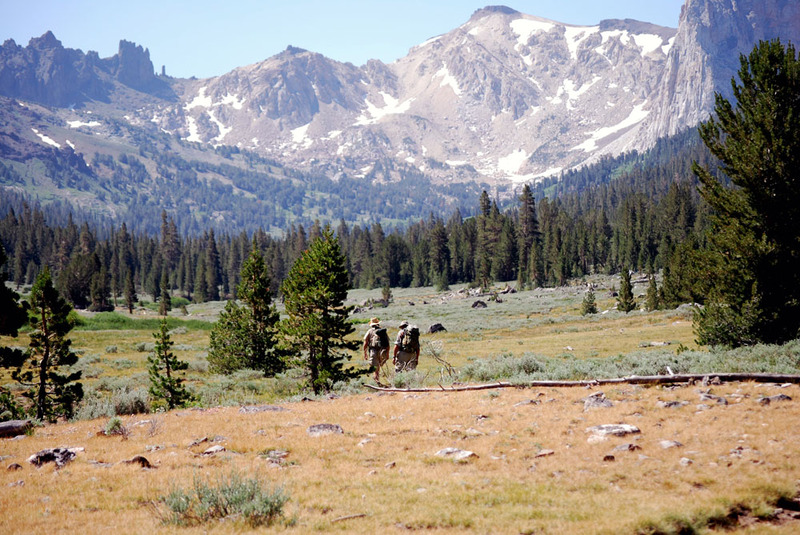 c) Wildlife Management Areas Hunting Programs Account. d) Upland Game Bird Account. small business enterprises run by disabled veterans. expenditures for each of the accounts listed in #1.
plans to implement CalCWAP strategies. paid from the General Fund or other available sources. validations from the FGPF to the proposed dedicated accounts. department’s discretion to use it for other purposes. programs that provide broad wildlife and habitat benefits. implements the recommendations of CalCWAP. Opening day is always good. This year was unique as I hunted alone with little fanfare. As my blind was set up for afternoon and evening winds, I didn’t get up early. Arriving about 2:00 PM, the weather was warm, but not unbearable. An appropriate sweat kept me cool enough and as usual, animal activity kept me from being bored. I was armed not only with my Mathews bow, but also my Nikon digital camera and 200mm lens which is quite adequate for taking some good photos. 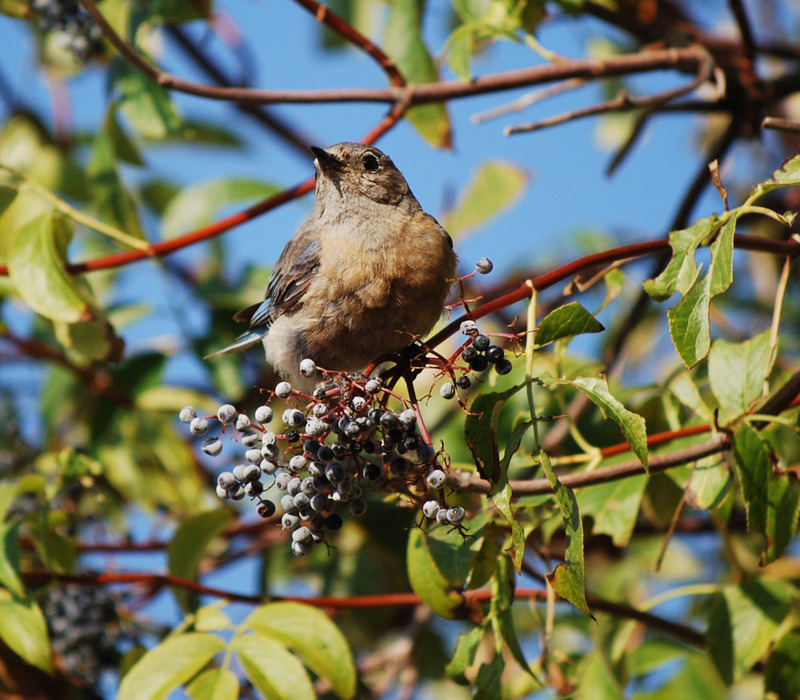 The elderberry bush next to my blind provided ample attraction to the local birds and I got some good shots. I’ll publish them later this week, but for now I’ll just show the legal buck that came in. He was not worth writing home about, but if he’d approached inside 35 yards, I would have had to make a decision. Fortunately he didn’t so he’s still out there and will be a shooter for sure next year. He was cautious, but not looking for me. He stood overlooking the pond for several minutes before heading down to drink. Western bluebirds in their drab summer plumage were frequenting the elderberry bush next to my Double Bull blind. I took several photos with my Nikon D40X camera which is proving to be a good investment.